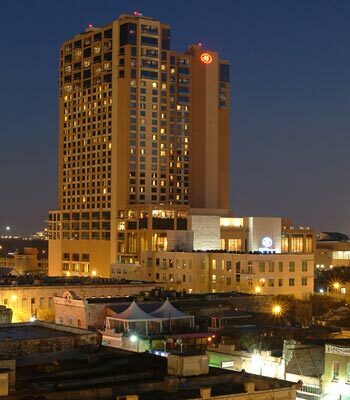 The 555 Condos in downtown Austin brings the finest luxury in real estate, towering atop the 800-room Hilton Hotel in the Central Business District of Austin, Texas. The 555 Condos for sale in Austin offer an abundant choice of one, two or three-bedroom suites ranging from 800 to over 5000 square feet. 555 Condo prices range from $300k to $4 million. Available to anyone looking to avail of the elite arrangements of the most sophisticated residence among Downtown Austin Condos. All rooms are instilled with a first-rate balcony that pleasures every dweller of a dramatic view of the city including Town Lake and State Capitol. Every 555 Condos private residence is inspired with state-of-the-art floor-to-ceiling interiors including wall-to-wall windows, high ceilings, bamboo flooring and classy kitchens with maple cabinet, granite counter-tops, stainless steel appliances with gas cooking, recessed lighting, elegant travertine stone bathrooms and hardwood floors. An exclusive staff consisting of 24/7 lobby attendant, concierge, housekeepers and hospitality officers greets the private resident in the spacious and excellently furnished lobby. A separate residential parking area and elevators are also available for all secured private residents. Members of the Tower Health Club on the 8th floor can indulge on the rooftop pool and hot tub with matching view. A roomy fitness center with a variety of weight loss machines, personal trainers and spa treatments are available for absolute relaxation. The 555 Condos Austin Tx are perfectly situated on East 5th Street just minutes away from the airport and next to Austin’s entertainment district, live music scene, Austin Convention Center and State Paramount Theaters, plus easy access to business establishments and a handful of downtown shopping boutiques.